This Animation-ish Spotlight was written by Robin Corbeil, a teacher at Litchfield Middle School. How can we use technology skills to inspire the people around us to be better? This is a question I have asked myself for many years as a computer/technology teacher. One Answer: By encouraging and inspiring our students to take a risk and create something with the ISH philosophy. I challenged my students to become better people by connecting the themes of Resiliency, Perseverance, and Integrity to their lives in an “ISH” way. We hope you enjoy and learn from our Animation-ishes. 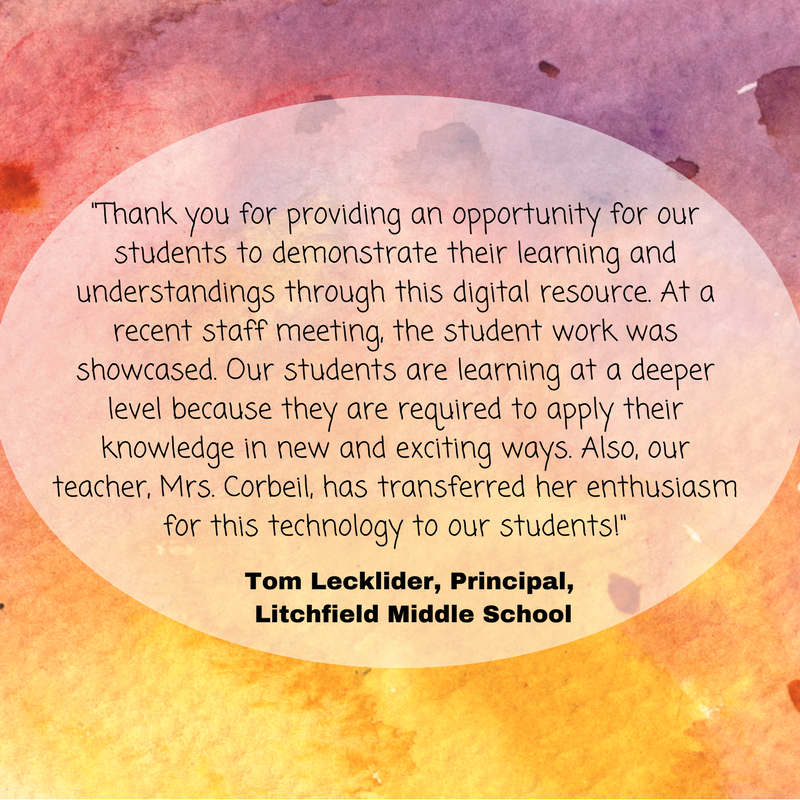 I have been a computer teacher and technology support staff at Litchfield Middle School in Litchfield, NH for the past 14 ½ years. I was inspired when I first saw Peter H. Reynolds and the Animation-ish software while attending a technology conference in 2009. I knew this was a tool I could use to unlock the creativity of my students. I loved the “ISH” approach of encouraging students and teachers to take risks and embrace the time needed to explore their creative sides. I introduce my Animation-ish lessons by modeling for my students, my limited animation abilities, with the famous line “it is tiger-ish” and that is ok. 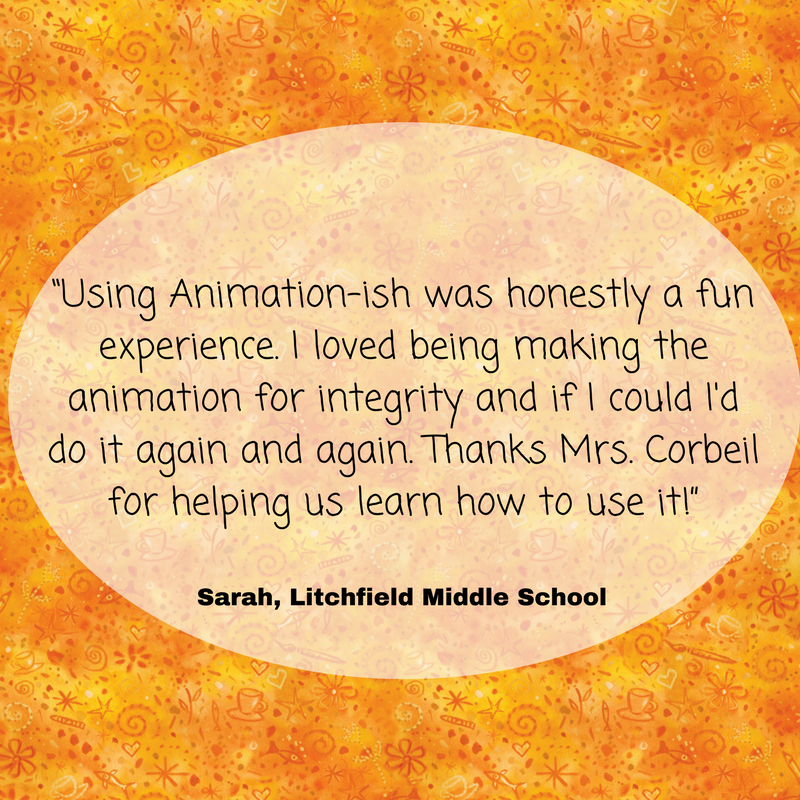 This little statement empowers my students to create their own ISH drawings and animations. My students always look forward to the use of Animation-ish as much as I do. These lessons are amazing because of how engaged the students are in creating and exploring their new skills and talents as well as furthering their understanding of various concepts. My use of Animation-ish in the past include, Internet safety, anti-bullying, reflection on learning experiences in other content areas, and Public Service Announcements. This year was different because I had the chance use technology to help my students become better people through the use of technology. 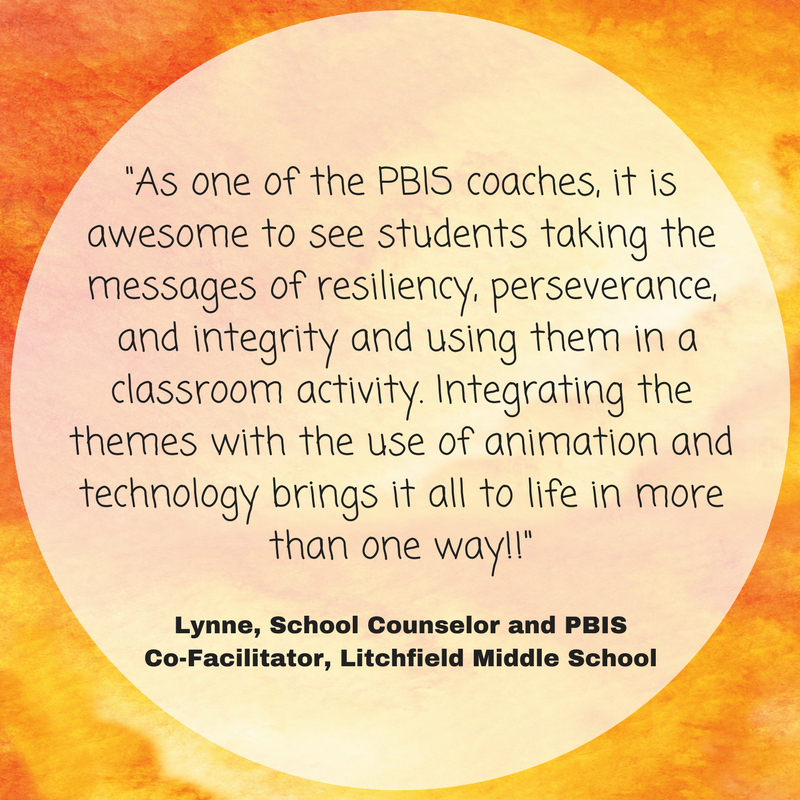 Our PBIS team’s, Positive Behavior Intervention Supports, focus is on expanding students understanding of Integrity, Resiliency, & Perseverance. 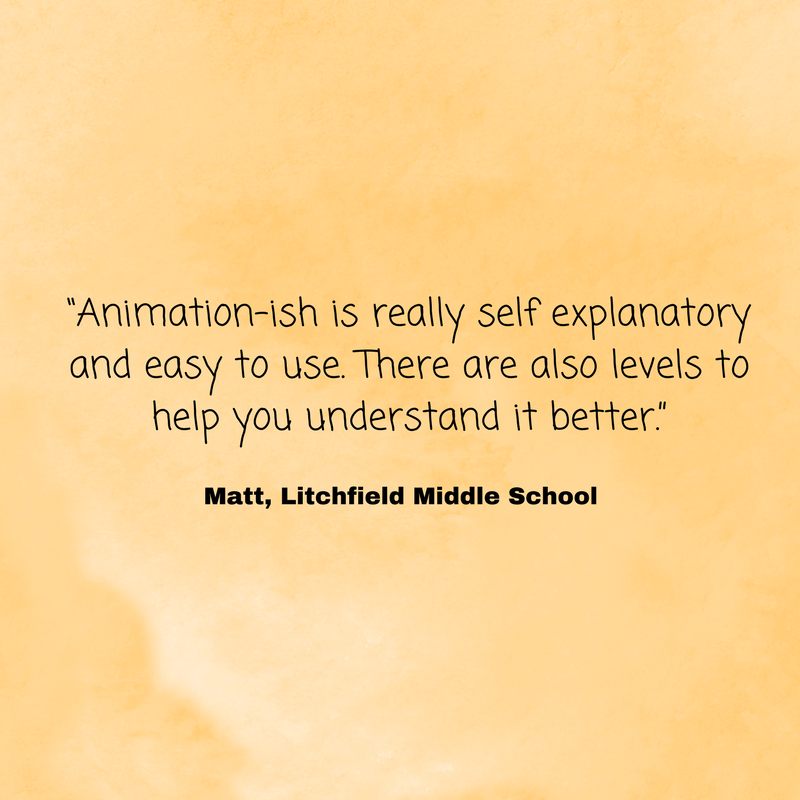 Animation-ish was the perfect tool to really engage and connect students to these very important concepts. Students were given presentations in small groups defining and identifying what these types of qualities would look like in the students lives. It was easy to see these were important concepts in not only educating my students but, in helping them to become the best people they could be. When introducing this project I reviewed animation skills students acquired last year using Flipbook-ish to establish and reinforce the skills they would need to bring their text to life. This was followed by a week of developing Advanced-ish skills, giving them options for their animation. 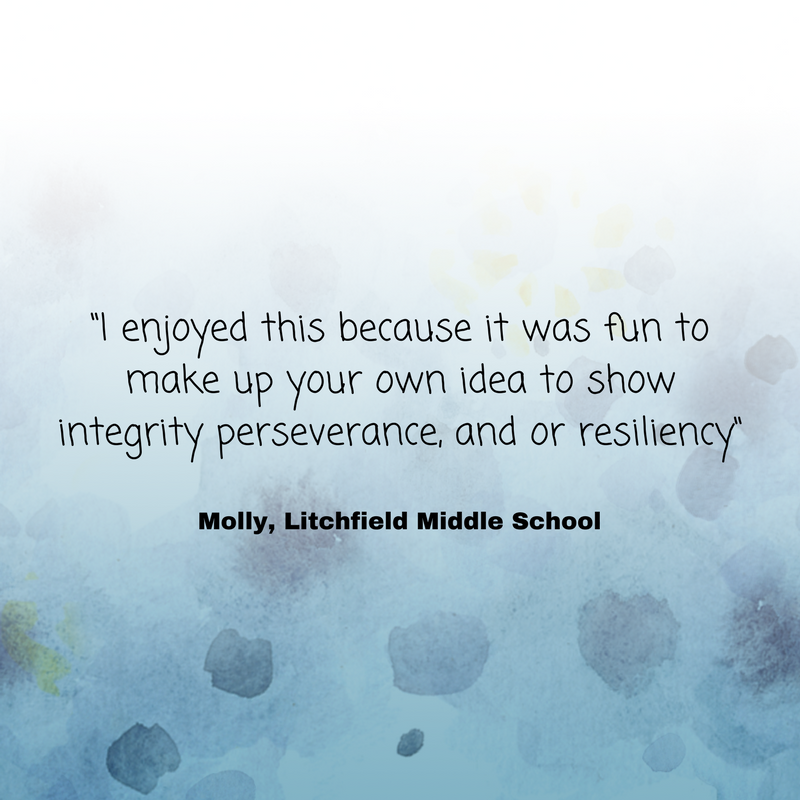 Once my students had the necessary skills needed they reviewed the presentations and choose any still image/saying on Resiliency, Integrity, or Perseverance, they connected with for their Animation-ish project. The goal was to give the image/saying more meaning and develop a deeper understanding for themselves and other students. 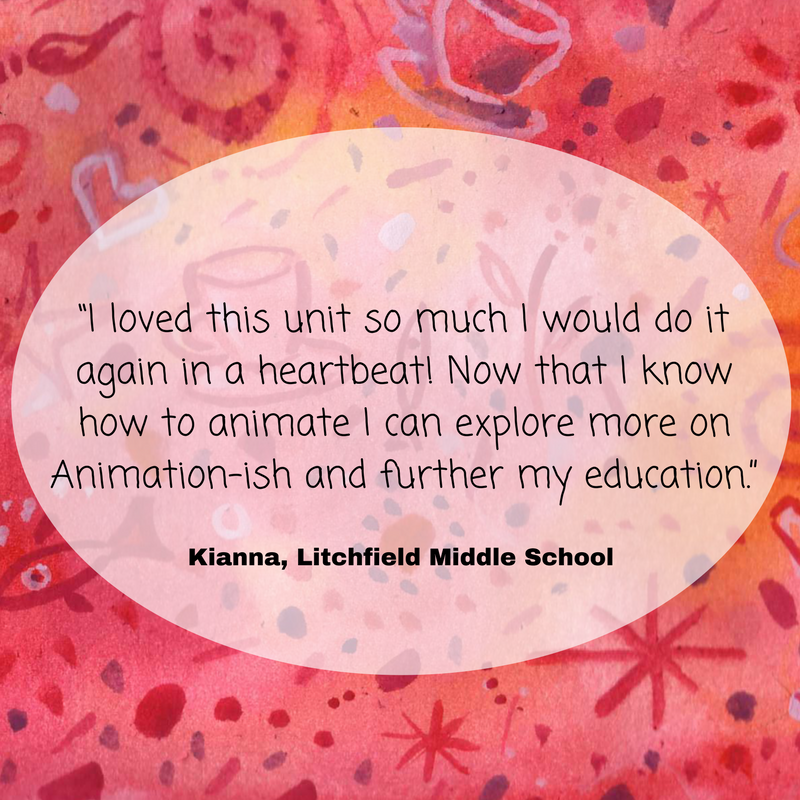 This process allowed me time to check in with each student and have really interesting conversations about their vision and help them focus their animation. Students were also allowed to come up with their own example if they choose to. If students were having trouble getting started I would ask them to tell me “What main topic their saying came from, Integrity, Resiliency, or Perseverance?” and them I would ask “What do you love to do?” and “What does that topic, Example Integrity, look like in that area?” These questions lead to great discussions with students and a deep understanding and connection to these real life concepts. Once students understood what they wanted to animate I modeled an animation by choosing the phrase “Bend Don’t Break” using a fishing pole-ish, that when it caught a fish-ish, that was labeled bad grade, that the fishing pole would bend but not break. I stressed that my animation was not perfect and continued to evolve everyday into a better version. 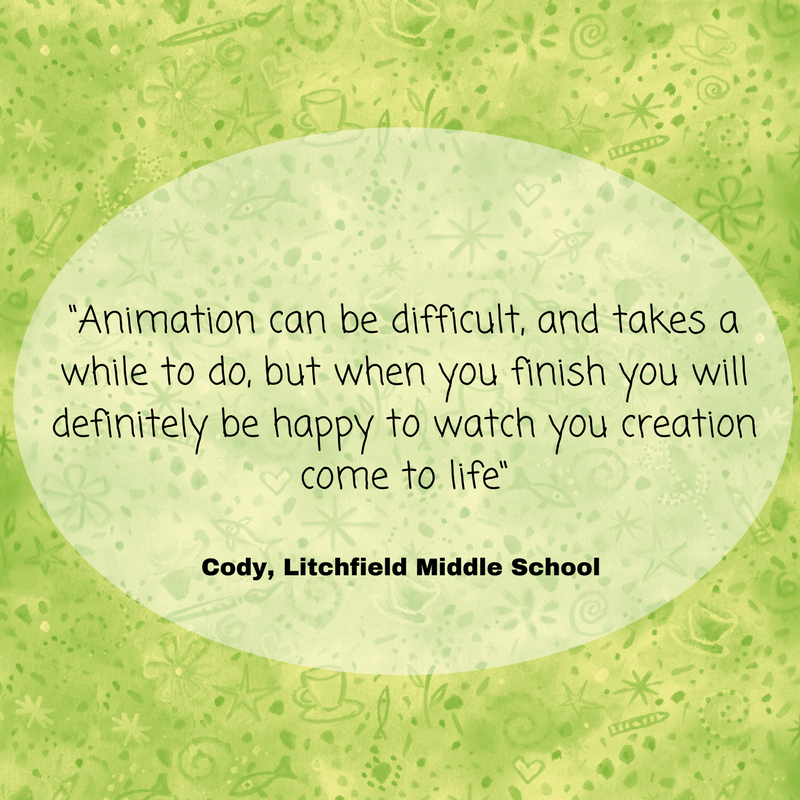 I often asked students their thoughts and opinions on my animation to encourage them to share with me as well as others. We were fortunate enough to have various staff members join our class to help students develop their animations. This was important because it showed students that I didn’t always have the answers or only perspective that mattered. They were encouraged to explain their vision/animation until it no longer needed an explanation. Once their animation could stand on its own and convey the message they wanted heard it was done-ISH. I hope you have enjoyed my students work!